There are those people or homeowners that are very particular with keeping the decors and furniture up to date; these people re-arrange and redecorate at least once a year. This is especially so when the new year is about to arrive and the color of the year or the latest trend will be announced online or in the news. 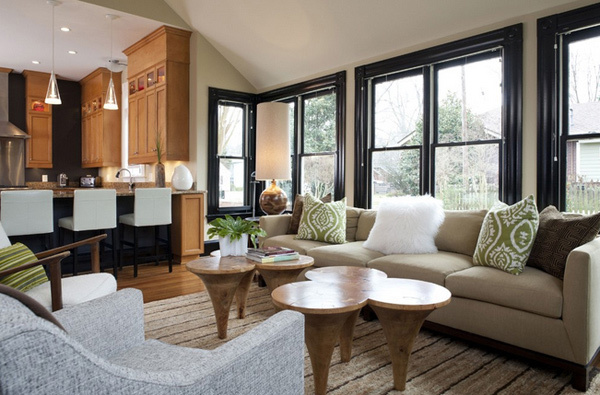 Today, we will be showing you 15 Spectacular Trendy Living Room Designs which are enticing and really pretty. These living room designs are modern day decor and furniture designs that fit the modern day style. Some are a bit eclectic because of the combination of furniture and styles, but these living rooms are sure to encourage you in terms of design and style. Let us check out the 15 Spectacular Trendy Living Room Designs below. This gorgeous fireplace shows you can take a more natural looking product and create a sleekly formatted installation. It’s incredibly modern in style, but still has a clean, earthy feel. The elongated tile set in a horizontal orientation adds serenity to the space. The addition of two Barcelona chairs and a trendy zig-zag rug have transformed this living room into a more masculine yet comfortable space. This Las Vegas living room is so gorgeous, all the girls we know will love to have this space to themselves. A black and white living room always look good no matter what. This is a classic pairing that will never be out of style. 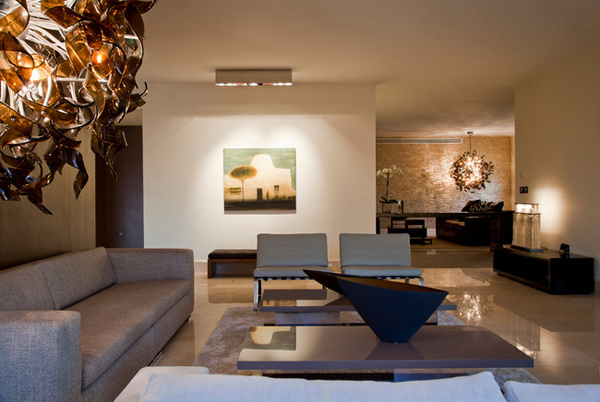 A play of light against the lustrous material palette results in a modern luxurious warm interior. 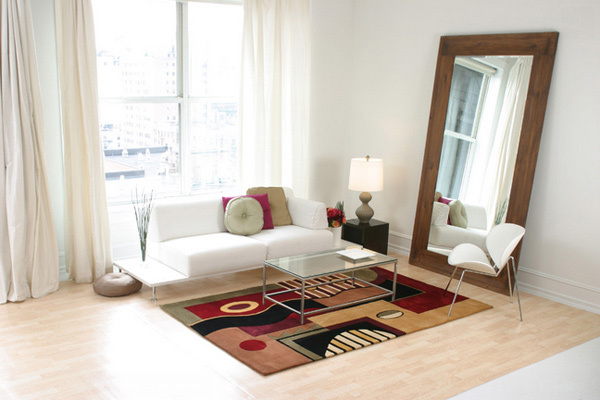 A beautiful contemporary New York living room with black, white, browns and blue. Don’t you just love it? Minimalist, clean and definitely stunning. The plain white walls, sofa and curtains – this room is just divine! The printed area carpet pretty much gave all the color and textures this space needed. 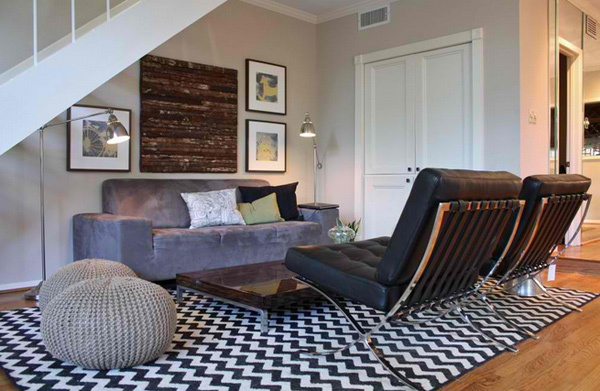 This living room might have darker colors and deep hues but it sure does look perfect! Neutrals has always been a great scheme in terms of design. It might be safe in the eyes of others, but who cares? They’re pretty! 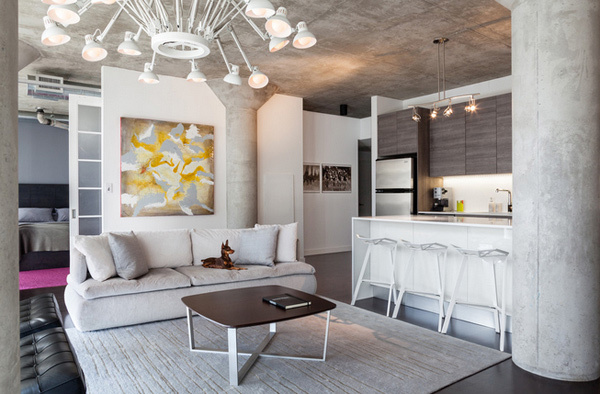 This living room is interesting; fun furniture and decor choices – this is just stunning. This trendy abode pulls in a lot of current design obsessions. 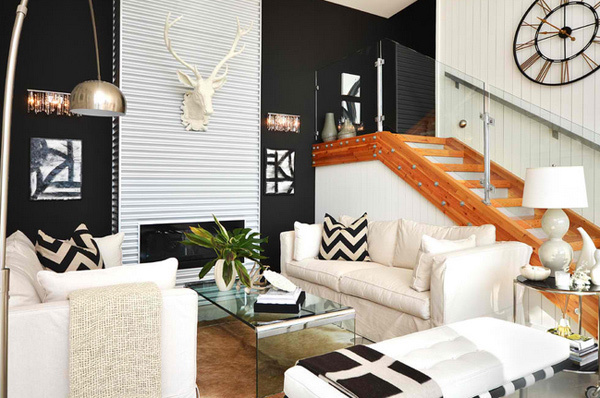 Cool antler sculpture, chevrons, and black walls? Check, check and check. Simple white sofas, a sleek coffee table and a classic gourd lamp keep things feeling polished and mean that the look can be easily changed with a few accessories swaps when the mood strikes. 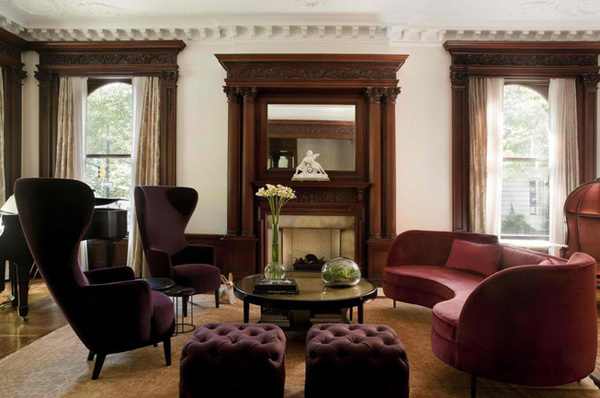 This New York family room is really cute and feminine. We just love it! White and greys always make the heart skip a bit. This place is remarkably done – with great taste and class. Live Momentum did a great job with Dwell Showhome. 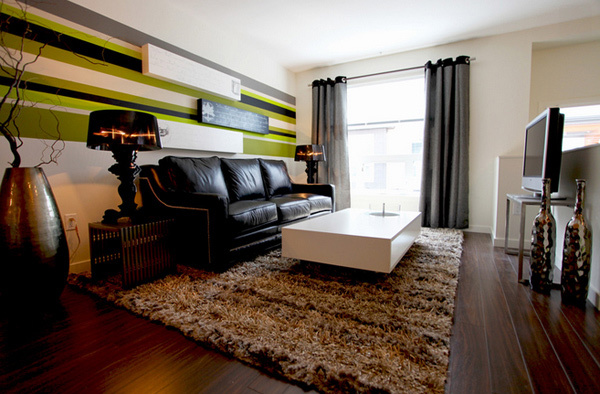 The wall design is outstanding and the choices for the couch, coffee table and the rest of the decors is just superb. Tell us how you like the 15 Spectacular Trendy Living Room Designs we have just shown you above? They sure were pretty and interesting. Different feel for each living space. Some were a bit masculine, more feminine and some are all but neutral but surely is pretty. We like them! You can also look into some trendy living room colors.